You may be wondering what we do with all those egg shells. Or maybe you don’t care. 😀 I’m going to tell you anyhow though. Though I am not good at it all the time, I like to use everything I can of what I have at my disposal, egg shells included. 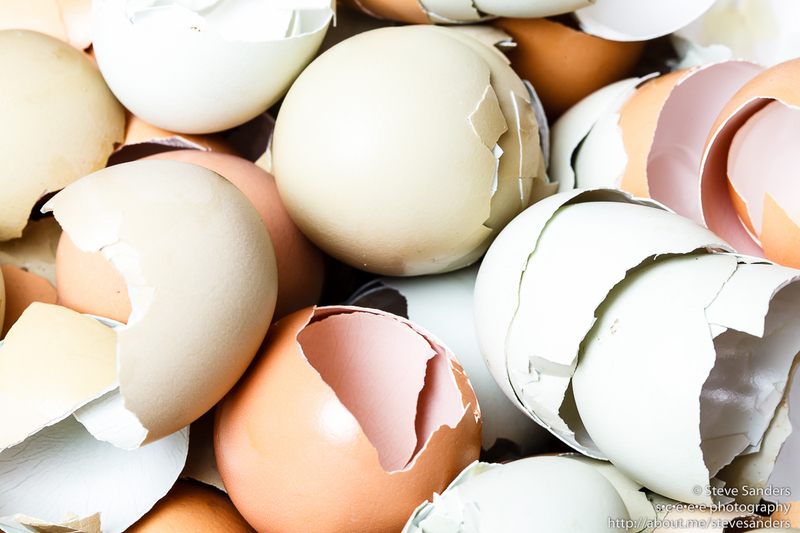 Egg shells are a great source of calcium, which happens to be a mineral that is needed in the soil. We save all our eggshells, and then we dry them in the oven before crushing them up to spread over the yard. I mentioned above that the ladies are laying well still, but that doesn’t mean we have a lot of eggs around here. Besides giving some to the neighbors, it seems my boys have turned into egg eating machings. We are going through them like there is no tomorrow right now, which doesn’t bother me a bit. I think they are one of the healthiest foods there are. I know it is a little early to be thinking about this, but I am seriously considering getting some more chickens next year, though probably only two. I would like to supplement the flock by two a year, with a maximum of 16 birds. This would help account for reduced laying as the birds age, and the unfortunate death of a bird or two, which will likely happen over time. Speaking of that, I think we may have a predator trying to get into the hen house. We are noticing some digging around the edge on one side. For now I have covered this with a heavy board and brick, but I have plans to fill the hole up soon. Thankfully, even if they got into the run during the night, they couldn’t get to the hens, as we lock them in the coop during the night. This entry was posted in Chickens, Gardening, Pictures and tagged in chicken, chickens, egg production, eggs, predators. « My Facebook is Hacked! !